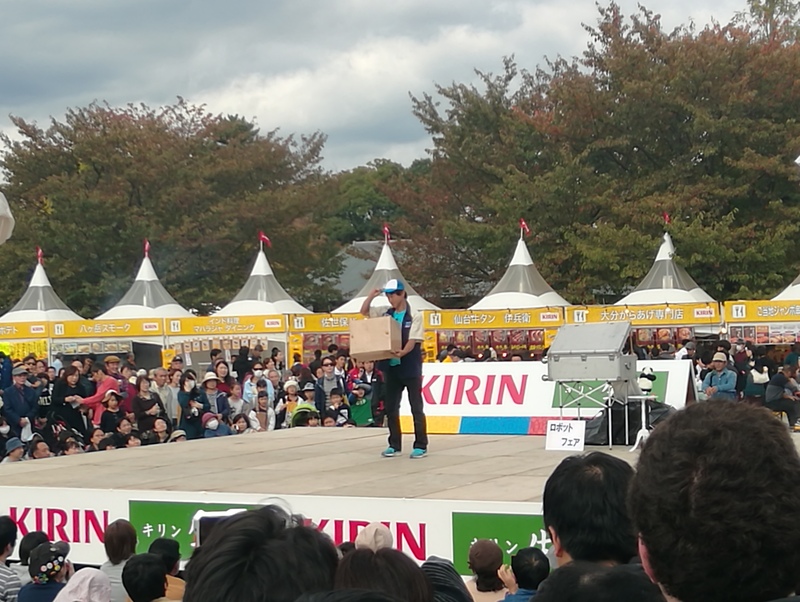 Joji finally got to perform his Japan's top level quality diabolo performance in Daidogei World Cup after applying 6 times. Where Joji started his diabolo was also in Daidogei World Cup. 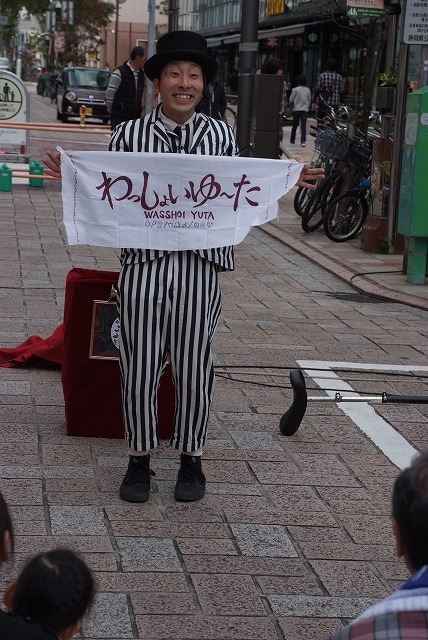 He tried diabolo during the Daidogei World Cup 14 years ago with his friends and started a team with them which includes 2017 ON department performer, Yusaku Mochizuki. After a while, he started to work on his own and then worked in a company. He decided to quit his work and forcused on Daidogei again. Since 2 years ago, he is using diabolo as his main apparatus. Joji applied Daidogei World Cup 6 times, and finally this year, he was selected to perform in Fringe department. Now his next goal is to perform in ON department and furthermore to perform in the World Juggling Championship. 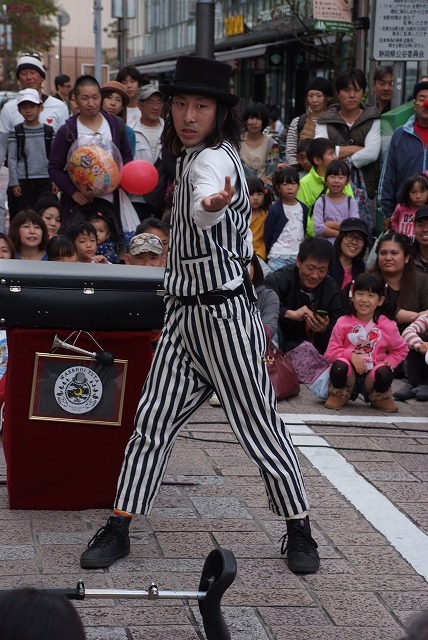 Joji's speciality is to use one diabolo and spin it side to side, and he loves minor but impressive tricks. If you want to see something completely different from other diabolo performers, go check out Joji's performance! 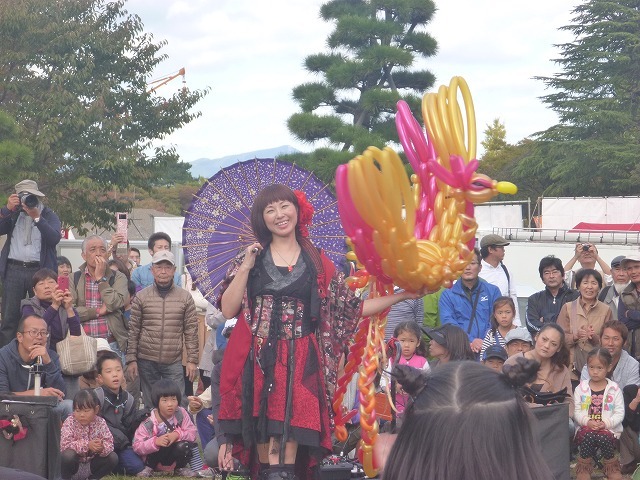 The Shizuoka Daidogei Street Performance Festival is of course famous for its big thrills acrobatic acts, drawing big crowds to Sunpu and Aoba Parks. 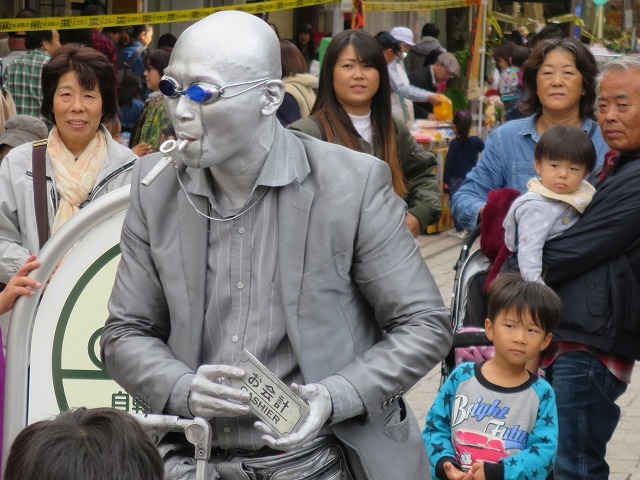 But if you prefer a slower pace, or are bringing small children to the festival, then the closer interaction of the street performers on Gofuku-cho Street are highly recommended. Gofuku-cho street is the entrance to Shizuoka City, and during the Daidogei festival the atmosphere is extra lively with stalls, clowns, walking acts and street performers giving you a warm welcome. You can find mysterious statues that will suddenly spring to life. There are street magicians, performing their magic under the watchful eye of a very close audience- even then you won't be able to find out their secrets! 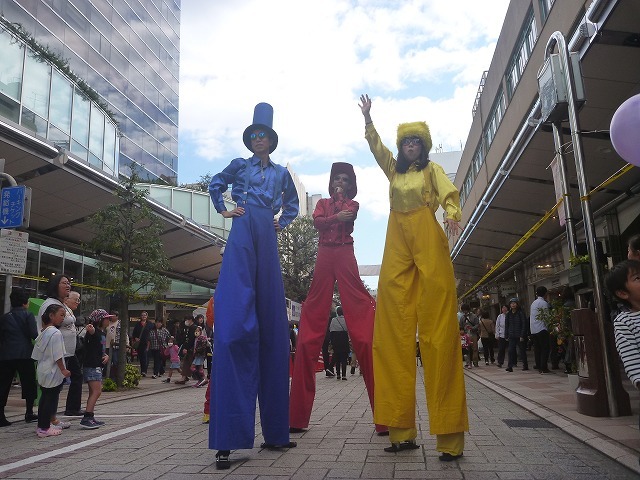 Stilt walkers, tower above the pedestrians, yet stop to interact with small children. Street artists, performing a wide range of juggling, acrobatics, pantomime and comedy acts enjoy a close rapport with the spectators. And of course the clowns bring a smile to everyone's face. 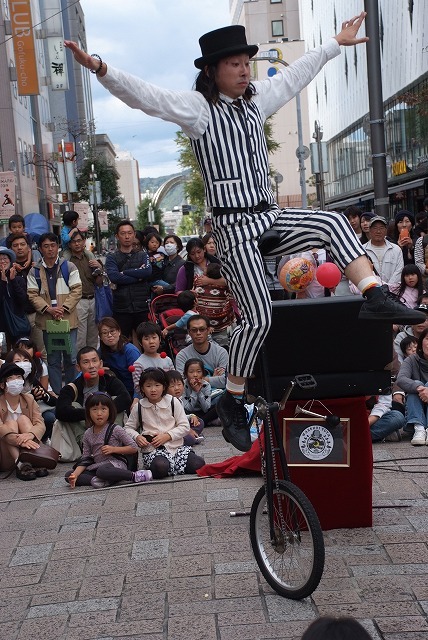 Welcome to Shizuoka's Daidogei Street Performance Festival! !